Thankfully, these posture-related pains are easy to fix, and it begins with the right equipment. 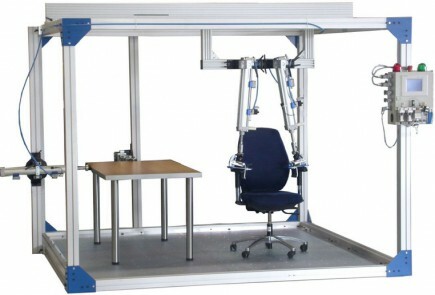 An adjustable monitor arm should be a staple in any ergonomic workstation. The Ergotron LX Monitor arm offers a wide range of adjustability in both height, depth, and angle, to really customize your monitor setup. It is a very bad idea to use a laptop without an external monitor for long periods of time. Keeping the neck bent to look at a laptop display is a formula for neck and shoulder pain. Your monitor should be positioned so your head can be held in a neutral position, not bent forward or backward. You should be able to see the entire monitor area comfortably without tilting your head forward, just by shifting your eyes downward. This is especially important if you use two monitors: you should change your monitors’ positions every now and then so you’re not staring at one screen with your head turned for too long. Bigger is not necessarily better when it comes to computer monitors. If your monitor is too large, you may end up tilting your head forward to see information near the bottom of the display. That’s a no-no. For most people, a monitor in the 20″ to 24″ range is ideal, but the squish factor here is the distance of the monitor from your eyes. A good monitor stand will let you center the display at the right height and the right distance from your eyes so the top edge of the display is at the 0 degree line (your eyes looking straight ahead) and the bottom of the display is on a -15 degree sight line from your eyes. And how far away should that monitor be? An ergonomic rule of thumb is to keep your monitor at arm’s length. It’s a good place to start and ensures that you don’t wind up with your face flattened against the screen, which is a sure way to feel some eye strain. 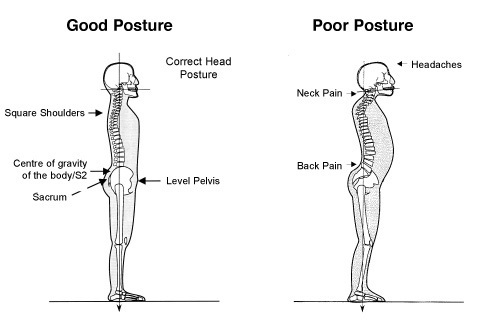 When people walk by your office and get a side view of you on your standup desk or treadmill desk, they should see someone who is standing straight, head held at a neutral position. You should be resting your hands comfortably in front of you on a cushioned padding along the front edge of the keyboard and mouse, with your chest open and shoulders back.